It took few days Novosibirsk activists to organize an event commemorating Defender of the Fatherland Day. 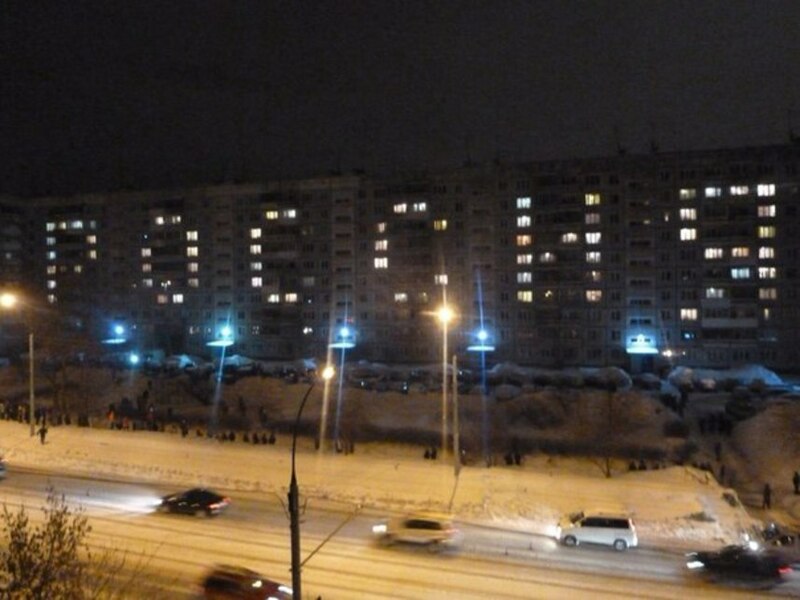 They got an agreement of certain apartment tenants to switch lights on/off in order to form the word “Russia”. Ironically, one fifth floor apartment stayed dark, thus leading to the incomplete word.